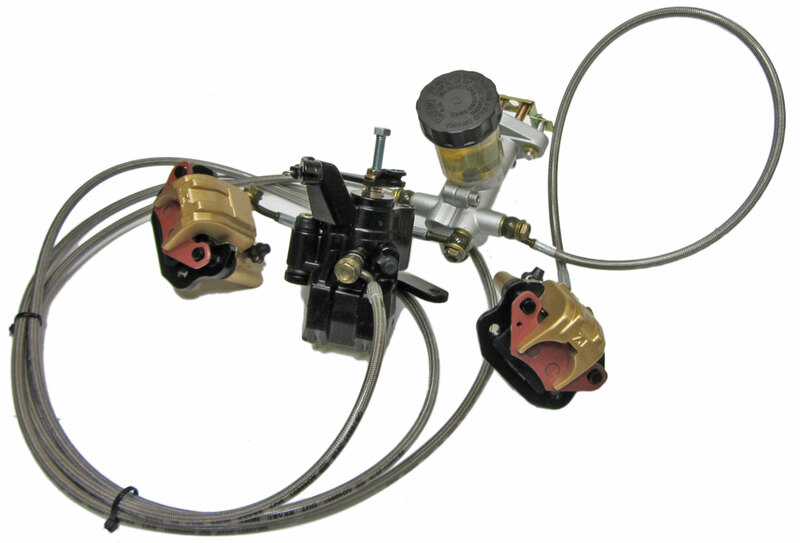 Three hydraulic brake caliper (2 front, 1 rear) set up used on many Hammerhead, Twister, and Trailmaster go karts and utility vehicles. 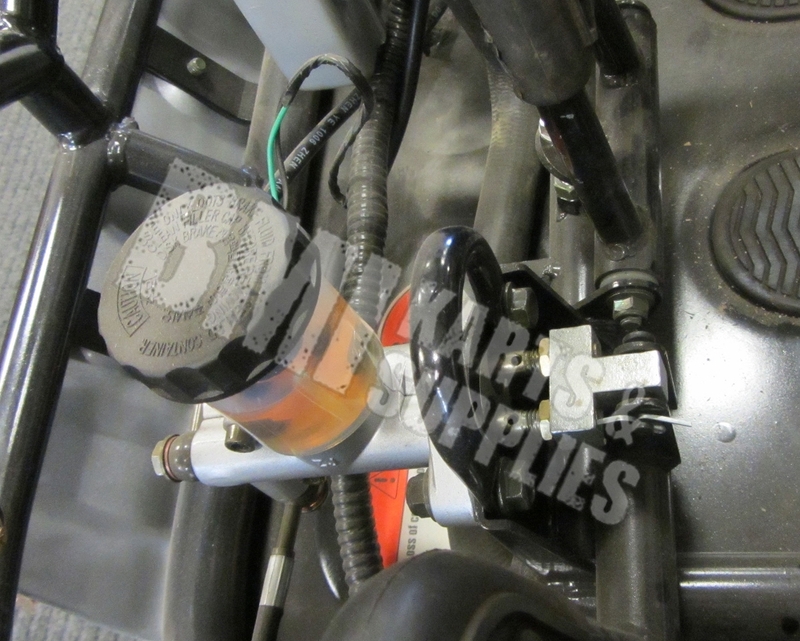 This kit comes ready to install, pressurized with Dot3 brake fluid. No need to hassle with bleeding brakes. Save time and money with this kit! 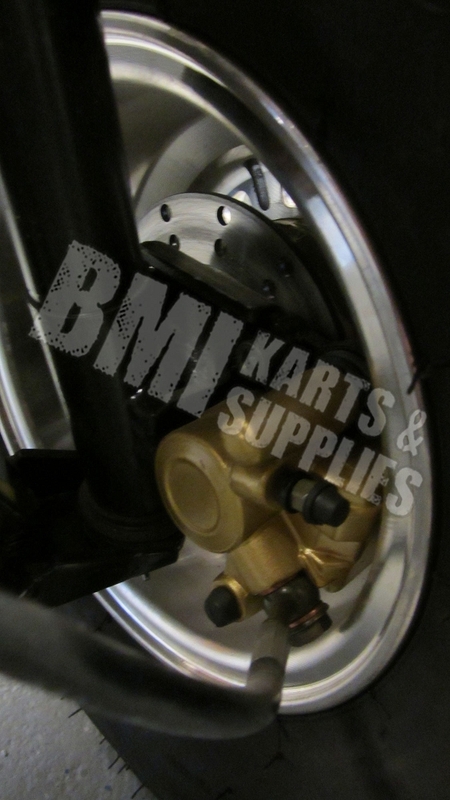 Compatible with Hammerhead GT250 SS250, Trailmaster 150 XRS / XRX and Trailmaster 300 XRX.